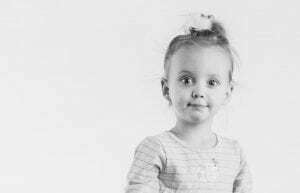 CAMI, 2, Rapid City Champion — Born 13 weeks premature and weighing 1 pound, 15 ounces, Cami spent the first two months of her life in the Neonatal Intensive Care Unit at Rapid City Hospital. To celebrate the amazing things being done at Regional Health – Rapid City Hospital, we’re inviting you to join us March 5-11 in celebrating #ChildrensHospitalsWeek . Children’s Miracle Network (CMN) helps area children get the medical care and attention they need. CMN is a program of Regional Health that works to fund medical equipment, services and programs for ill and injured children throughout the region. In-school safety programs, a pediatric emergency transportation fund, and special equipment purchases are just a few of the many ways CMN makes a difference in YOUR community. Wear a Bandage. Show your support for Children’s Miracle Network at Regional Health by wearing a bandage, taking a photo, and sharing it with the #ChildrensHospitalsWeek hashtag. Tune in to CMN Hospitals’ Facebook Live-athon at 5:30 p.m. MST on Wednesday, March 7. This 90 minute live fundraiser, broadcast from Walt Disney World, will feature inspiring pediatric patients from the U.S. and Canada and entertainment from celebrity guests. Watch live on Facebook at Facebook.com/CMNHospitals. Twitter/Instagram: I’m celebrating @regionalhealth and #ChildrensHospitalsWeek! Next post: Over $85,000 Raised During Radiothon!